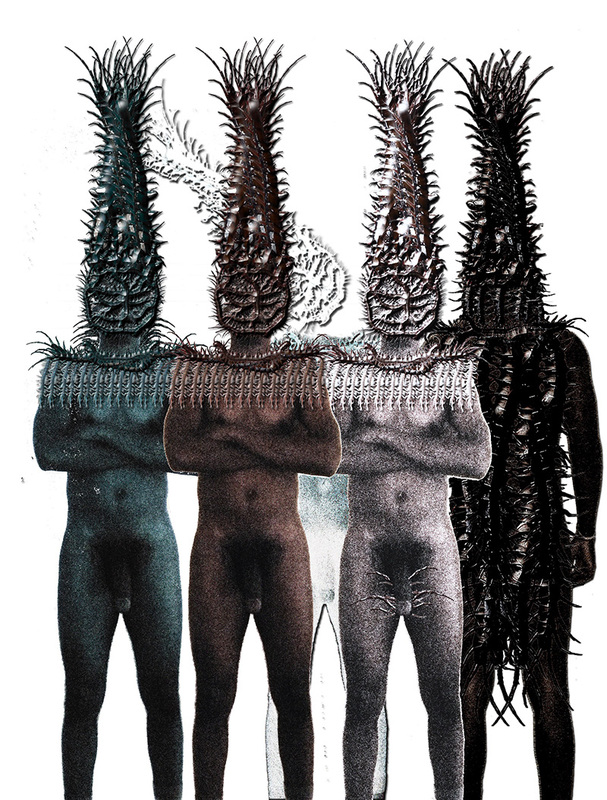 Alan’s latest tribe series of still images is the only one that has not been created in conjunction with a series of poems. 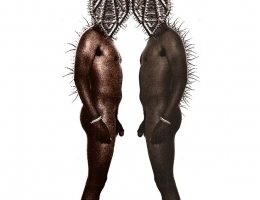 These are manipulated photographs of a single model and are inspired by vintage photographs of African warriors that he viewed on Pinterest. 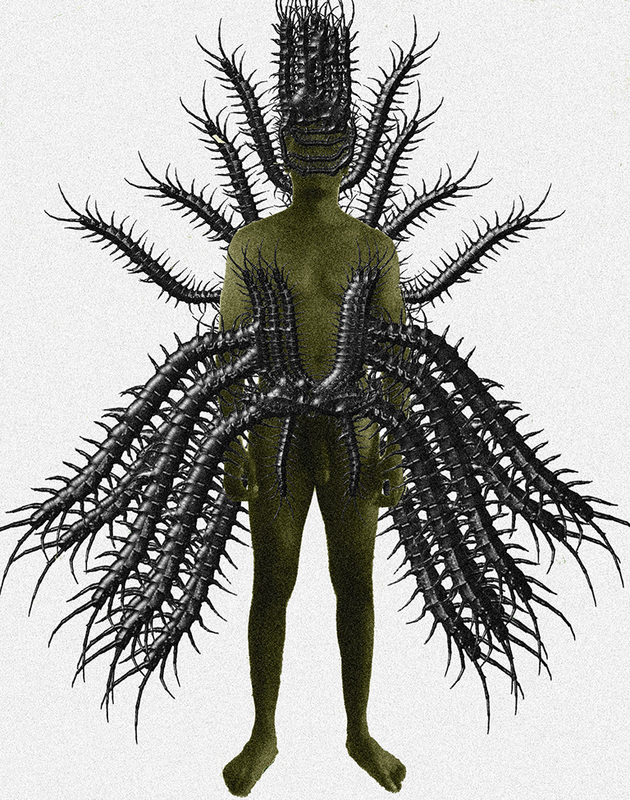 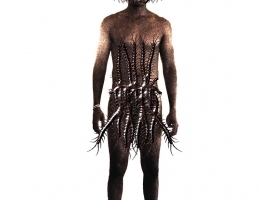 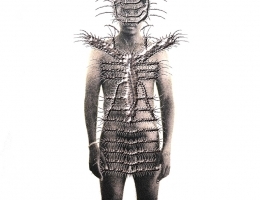 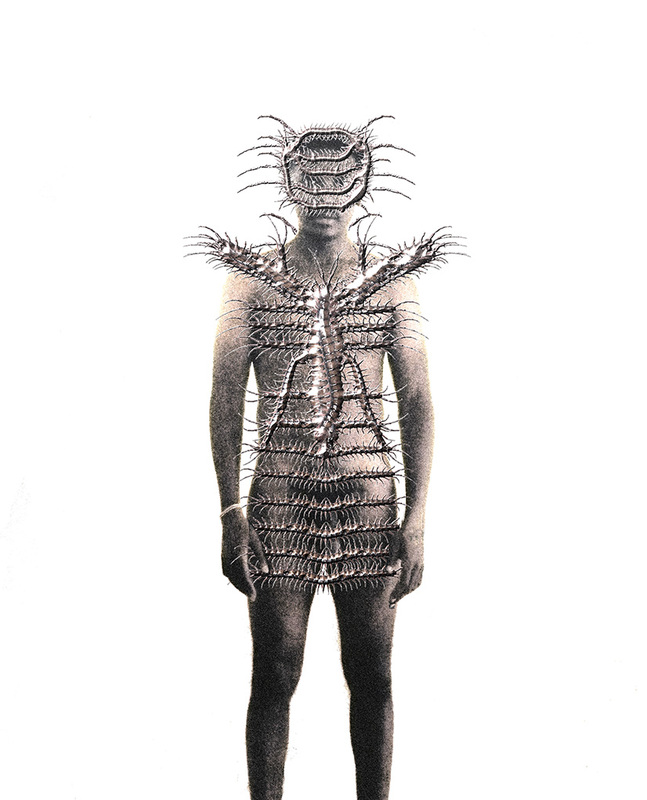 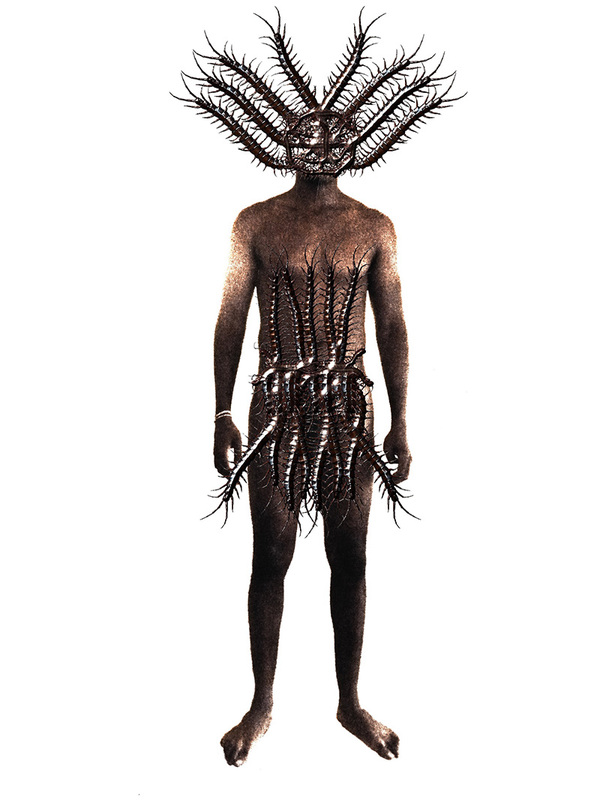 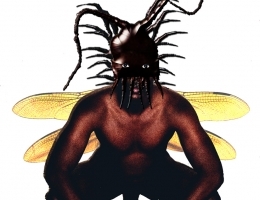 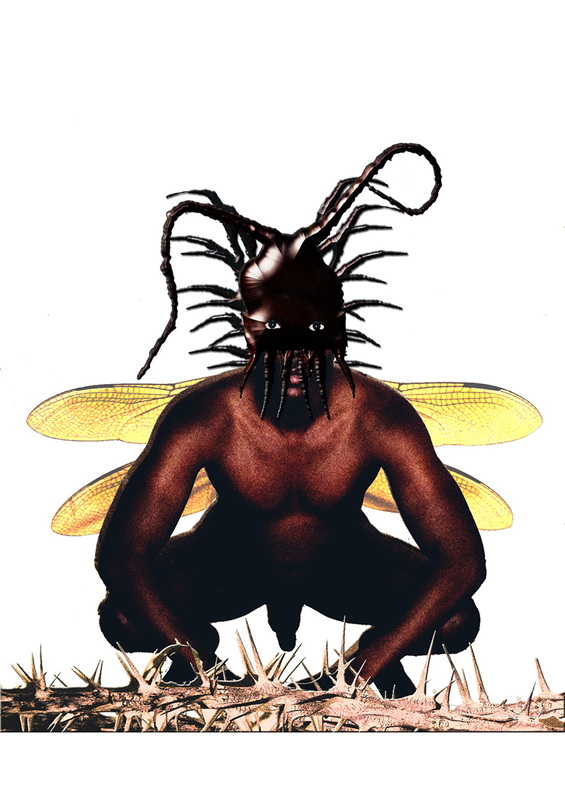 Images of centipedes are used to create the masks, headdresses and scant vestiges of clothing. 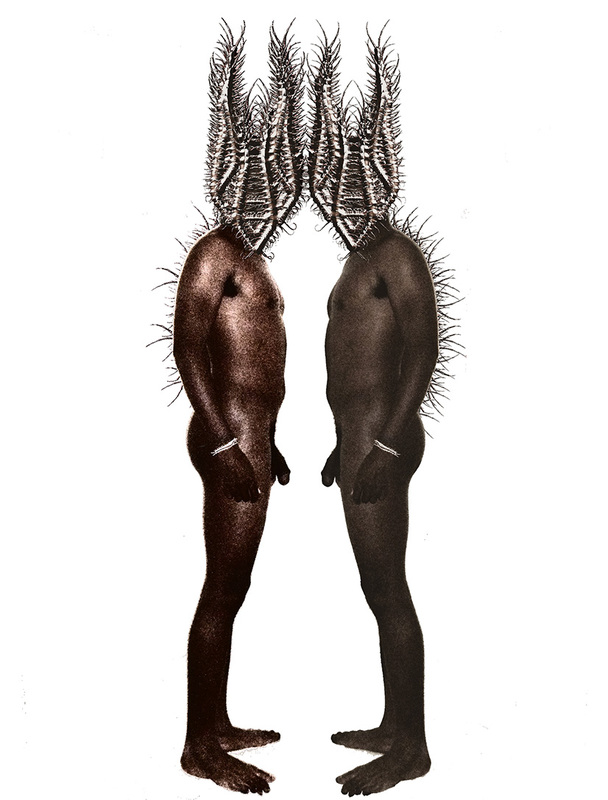 Some of these, printed on vinyl and canvas, can be purchased from Gallery One Seventeen, 117 Front Street, Hamilton, Bermuda HM12.